Another fantastic review from Patrick Eckel, #1 Reviewer on Wine Reviewer. 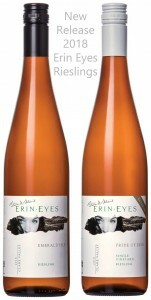 He has rated the 2018 Erin Eyes Emerald Isle Riesling at 94 points! A fantastic review from Patrick Eckel, #1 Reviewer on Wine Reviewer. 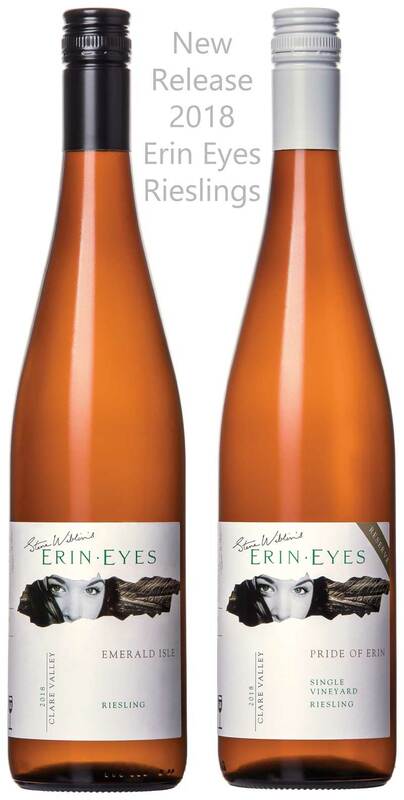 He has rated the 2018 Erin Eyes Pride of Erin Riesling at 97 points! 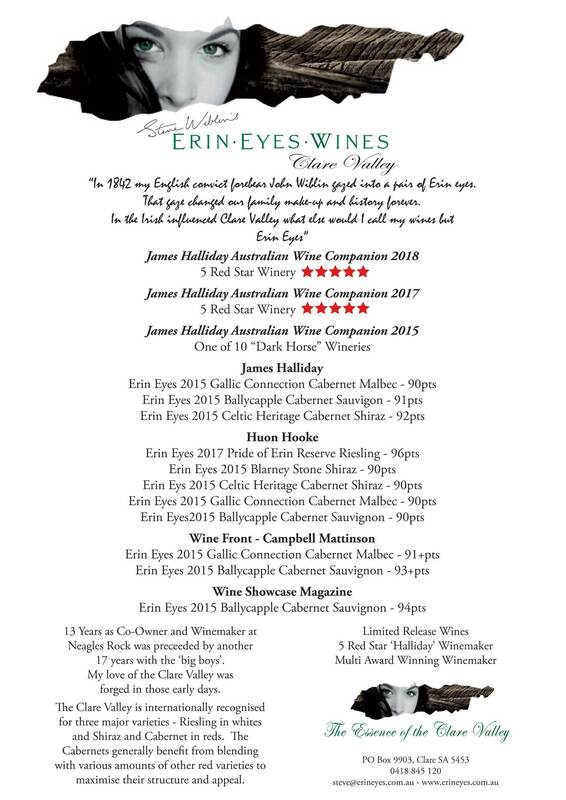 The 2019 James Halliday Wine Companion had reviewed Steve Wiblin’s Erin Eyes 2016 ‘Ballycapple’ Cabernet Sauvignon and awarded it with Gold at 95 Points. 35yo vines, matured for 20 months in French oak. Excellent deep crimson-purple hue; the bouquet suggests what the palate confirms. This is the best Steve Wiblin Cabernet Sauvignon made to date in a region that does little more than tolerate cabernet. It is rich in blackcurrant/cassis, with tannins assisting rather than quarrelling with the fruit, oak a finishing touch. 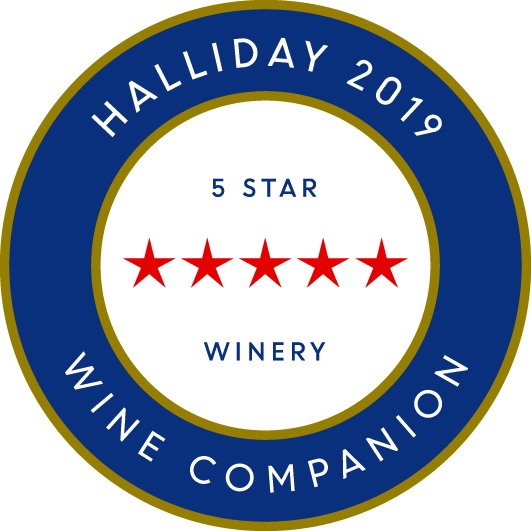 For the third year in a row the James Halliday Australian Wine Companion has awarded Erin Eyes Wines the 5 Red Star Winery award. Outstanding winery regularly producing wines of exemplary quality and typicity. 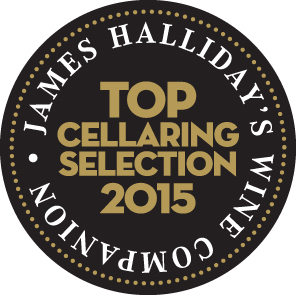 Will have at least two wines rated at 95 points or above, and had a five-star rating for the previous two years. Where the winery name is itself is printed in red, it is a winery generally acknowledged to have had a long track record of excellence in the context of its region — truly the best of the best. 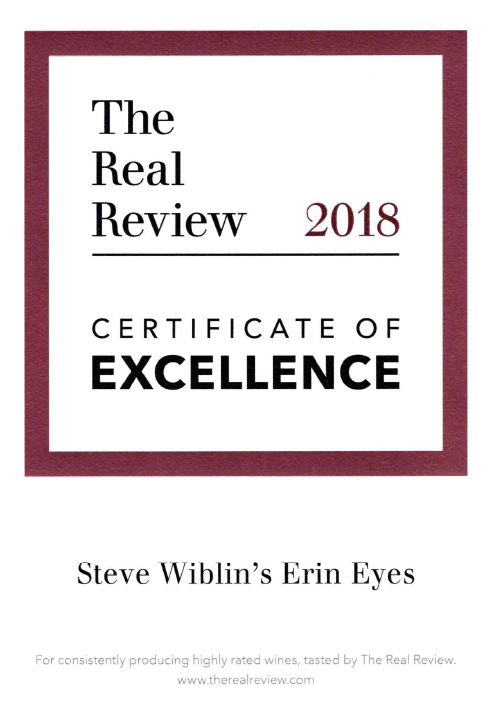 The Real Review has awarded Erin Eyes Wine a Certificate of Excellence which is awarded to a select group of wineries that consistently produce excellent wine. 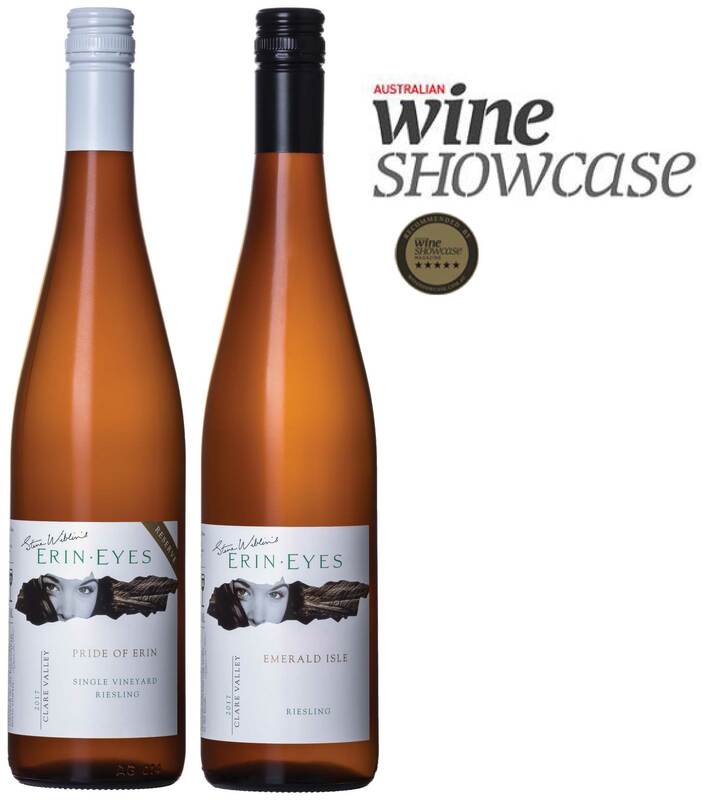 Steve Wiblin’s 2017 Pride of Erin Reserve Riesling and 2017 Emerald Isle Riesling have each won gold medals from Wine Showcase Magazine. 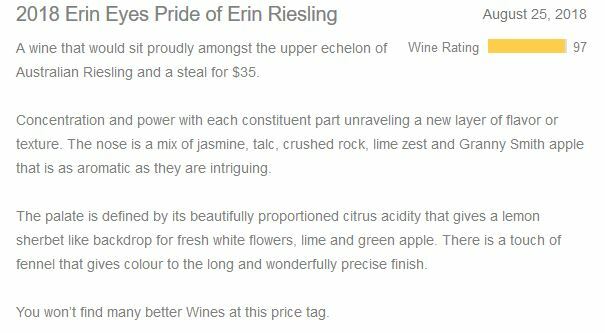 What does Huon Hooke think of Pride of Erin Reserve Riesling? 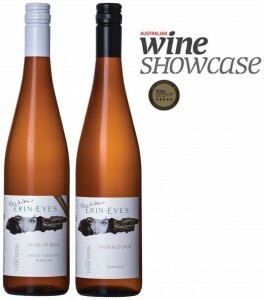 After tasting sixty two 2017 Rieslings from around Australia, Huon Hooke (Age and Sydney Morning Herald wine writer and experienced wine judge) still rates Steve Wiblin’s Pride of Erin Reserve Riesling the best he has tasted.